The Law Office of Katherine Ryan, P.C. is a Long Island premier boutique law firm, specializing in divorce, separation, maintenance, custody and child support matters. The firm was established to help clients through some of the most difficult times in their lives. For many clients, both time with their children and their net worth feel as if they are at risk. You are entitled to be informed, to feel confident and to have a strong and relentless advocate. KRPC is dedicated to negotiating settlements where possible but advocating zealously at trial when necessary. KRPC is committed to excellence in the most complicated and contested matrimonial actions. Katherine Ryan, Esq. is a graduate of Fordham University School of Law, ranked as a first tier "best law school" by U.S. News and has experience litigating cases involving self-employed individuals, individuals with high net worth and individuals with complex asset holdings. Strong advocacy and educated clients lead to the best results. KRPC is committed to the highest level of representation. Katherine Ryan, Esq. handles both Family and Supreme Court matters across Long Island and the five boroughs. The principal office is located in Melville, New York. During the divorce proceedings, we will assess all of the assets and debt and strive to attain the largest possible distribution of marital assets for our clients. When appropriate, we will work closely with you to guarantee proper financial support through maintenance. If children are involved, we will fight for custody of your children, child support payments or help in the development of a parenting plan. If you feel threatened, you should always call police before contacting an attorney. An order of protection is issued by the court directing a party to refrain from criminal behavior or stay away from another person. The Order can direct the person to stay away from the victim’s children, home and place of work. You are entitled to feel safe. Katherine Ryan, Esq. studied domestic violence and has successfully fought for necessary Orders of Protection on behalf of her clients. Our office has also defended against Orders of Protection issued unfairly. The dissolution of any marriage or partnership raises a plethora of issues. When children are involved, the resulting issues are even more complex as custody and child support issues come to the forefront. Our team of child custody attorneys will work with you to achieve the best possible outcome while preserving your parental rights and protecting your children’s best interests. Learn how to protect your assets in the event of a divorce. Prenuptial agreements are agreements signed between two parties before they are married. Postnuptial agreements are agreements signed by two people after they are married but prior to a divorce action. In these agreements, parties negotiate what happens in the event of a divorce. These agreements often protect inheritance and money or assets owned by the parties prior to the marriage. It is important that you have skilled representation when negotiating a prenuptial agreement, as it is often a permanent document with serious consequences. Katherine Ryan, Esq. has negotiated numerous prenuptial agreements between parties. Fair child support and maintenance obligations are unique to each family. Our knowledgeable legal team will fight for support in light of each party’s monthly income and lifestyle. Factors commonly considered include income, lifestyle, childcare expenses deducted from your paycheck (e.g., health insurance), medical expenses, extra-curricular expenses, daycare and private school tuition. Estimate your child support and maintenance here. 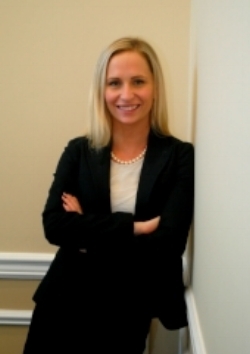 Our legal team also works toward modifying inappropriate child support obligations. Recent changes to the law may help you obtain a modification of your support obligation. Learn about modifying your child support obligation here. Separation Agreements are contracts signed by married people that govern their separation without getting divorced. Separation Agreements can govern property division, child support and maintenance among other subjects. Many parties sign Separation Agreements in order to maintain one party on the other party’s medical insurance. These contracts are enforceable in the event of a divorce and are very difficult to renegotiate in the event of a divorce. Accordingly, it is imperative that you take the Separation Agreement negotiations seriously and be represented by a skilled attorney. Contact our office to find out how we can help you. Use the form below to contact us regarding your legal inquiry. Please be as detailed as possible. You may also email or call us to make an appointment for a completely free consultation. Your inquiry does not create an attorney-client relationship.